It goes without saying that visitors to Australia often will want to spend time in one of the world’s most cosmopolitan cities. Who could go to Oz without seeing the Sydney Opera House after all? Once you have taken in the sights and sounds of this exciting city, our gap year conservation volunteering in Australia programme can take you on a trip to see some incredible parts of New South Wales, where you will actively be able to contribute to the conservation of this diverse area. The main gateway city for New South Wales is of course Sydney. From Sydney you will be taken out to one of the other main cities of the region: either Canberra, Newcastle or Wollogong. The region boasts over 600 parks and reserves, as well as beautiful beaches, historic towns and vast outback areas. This is a great way to really immerse yourself in something very different to your experience in Sydney. 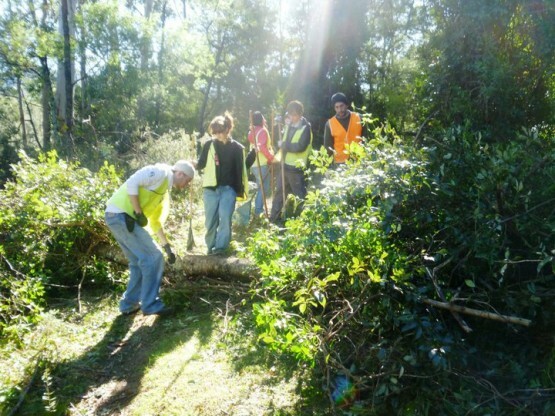 Helping create and maintain walking tracks and trail projects in the beautiful Blue Mountains National Park. This is a World Heritage area with enormous waterfalls and 140km of great walking amongst the rock structures and forest land.